I am in my 12th year of helping youth know and experience Jesus. I have a track record of achieving exceptional results in leading a team of volunteers. I am experienced in casting a vision and walking alongside my team to see that vision flourish. 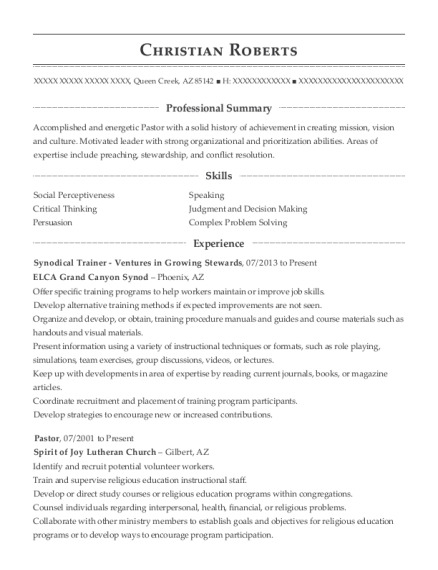 Recruit and lead a children's ministry team, select appropriate curriculum and class structures for NE children, and empower parents to have meaningful spiritual conversations with their kids. Recruit and lead a team of Young Life leaders to reach Snider High School, plan and execute a weekly Young Life Club, effectively lead Campaigners, model behavior of a leader who wins a voice to be heard with students not yet following Jesus, lead weekly student leader trainings, connect students to Northeast who do not have a church home, lead a group of students following the church gathering into great spiritual depth and application of the sermon. Recruit and lead a team of volunteers to visit the sick, provide meals and discern when and how best to help those in need in our community. Recruit and lead a team of volunteers to share the stories, support, and pray for our local and global church partners. Teach various high school classes. Quickly build rapport with students. Lead a group of 30+ students through various activities. Lead a crew of employees to provide excellent lawn care. Develop a curriculum plan for spiritual growth of all middle and high school students and lead a weekly gathering of youth. Lead a missions trip to Minnesota. Develop a five day wilderness schedule, including the cabin devotion. Develop a series of five talks that will lead campers closer to a relationship with Jesus and deliver the daily talks for 2 weeks. Manage a budget for wilderness camp. Lead 4-6 counselors who are leading 40-60 students. Prepare all the meals for campers and counselors. Three days a week during the summer unload a logging Semi. Split wood from sunrise to sunset. 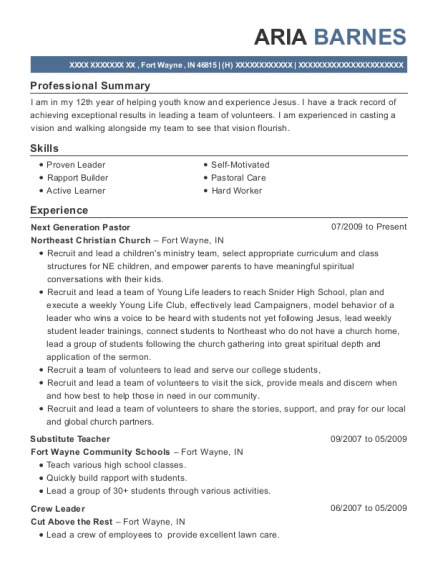 This is a resume for a Next Generation Pastor in Fort Wayne, Indiana with experience working for such companies as Northeast Christian Church and Fort Wayne Community Schools. 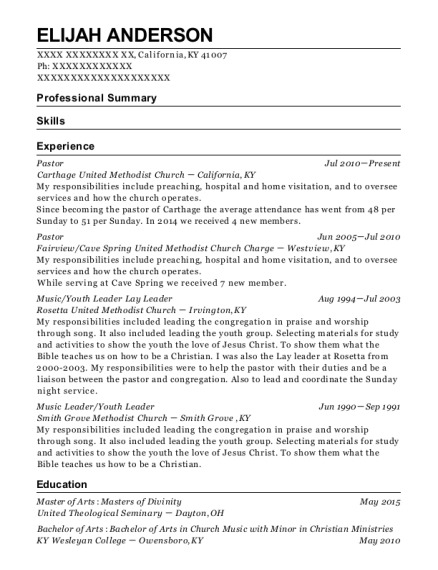 The grade for this resume is 0 and is one of hundreds of Next Generation Pastor resumes available on our site for free. 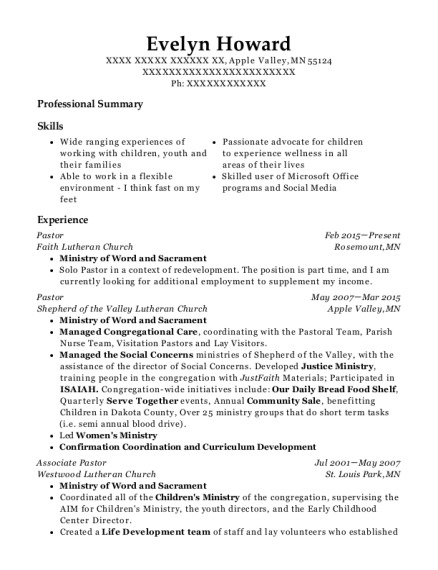 Use these resumes as templates to get help creating the best Next Generation Pastor resume.